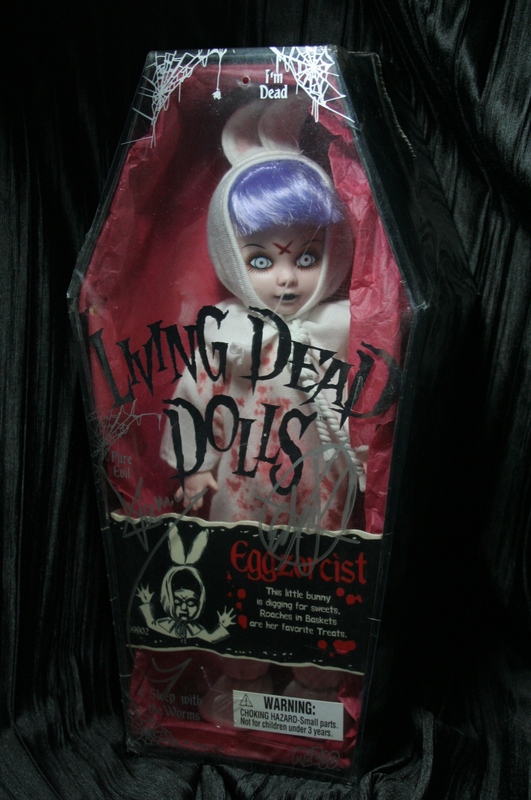 Chiller Eggzorcist was released at Chiller Theater Toy Model and Film Expo Convention. 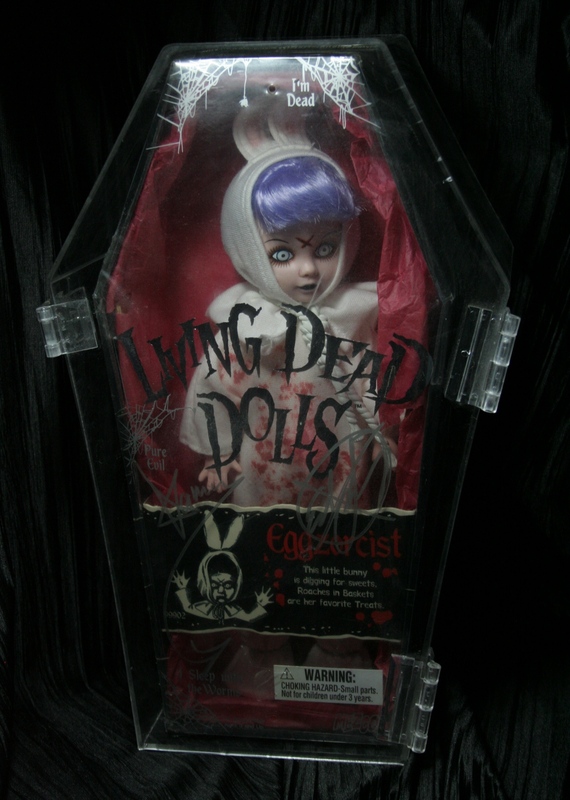 She was available in 2001 and is a highly sought after collectors item since only 30 of her exist and of those only 24 were made available to the public@ the convention. 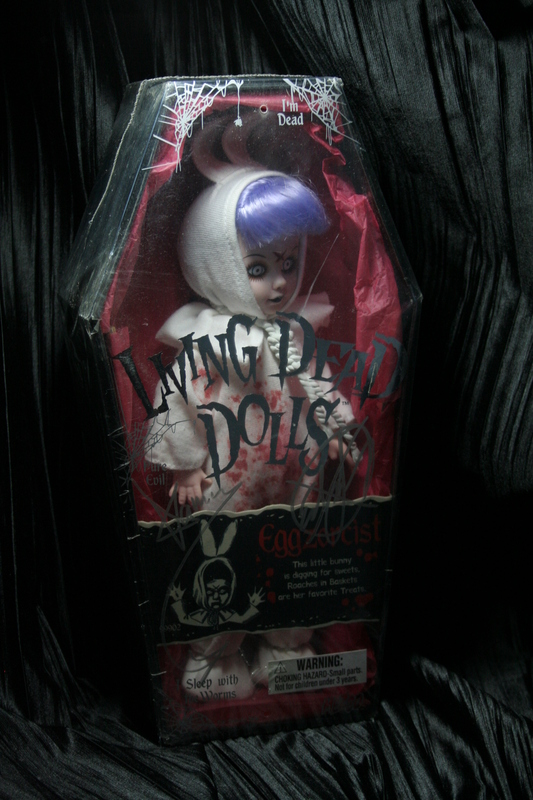 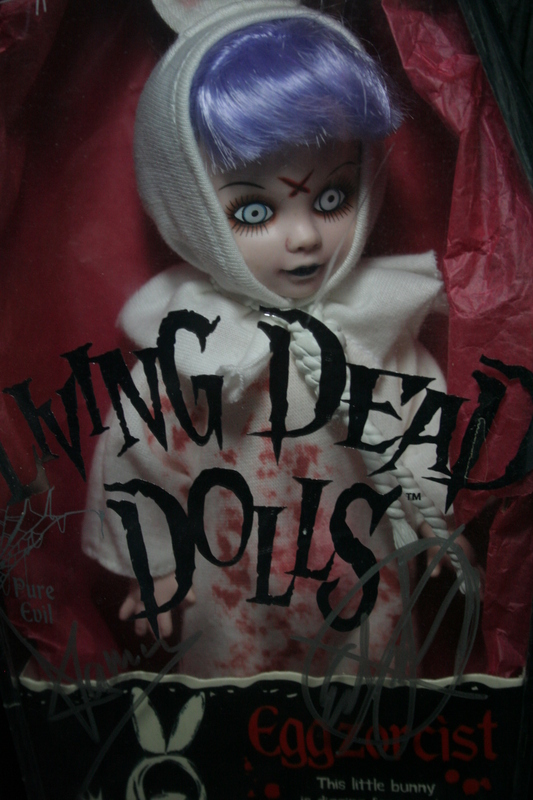 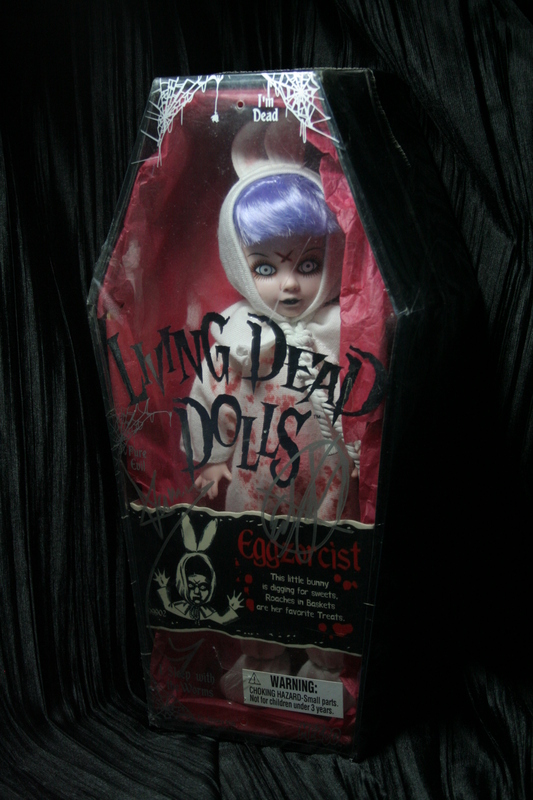 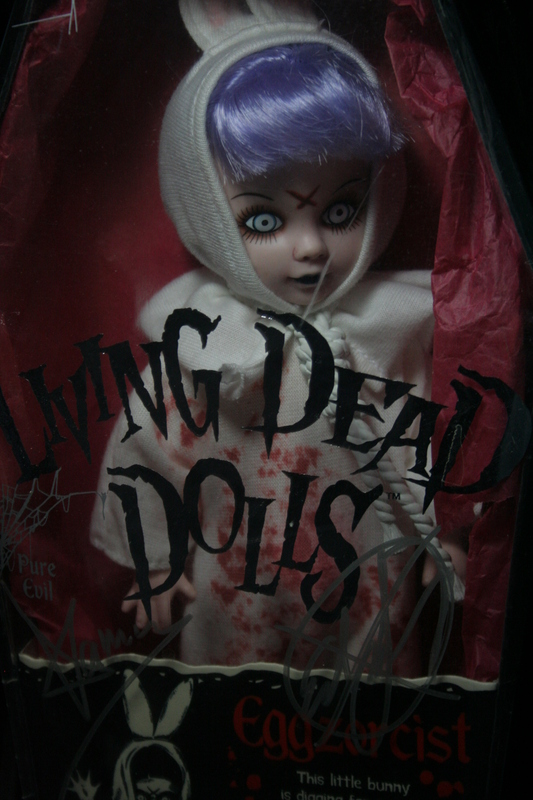 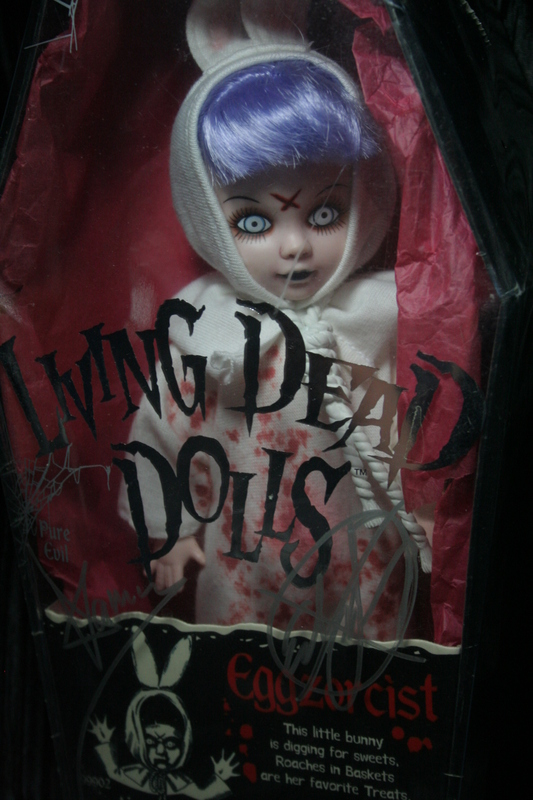 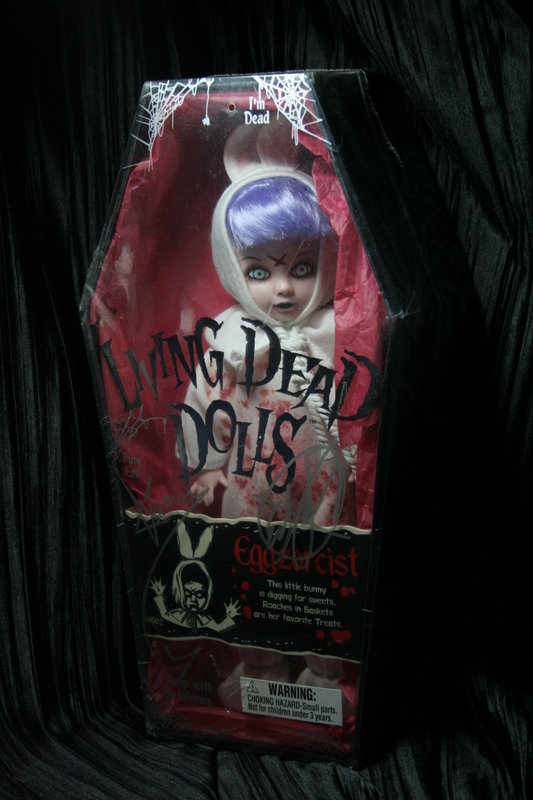 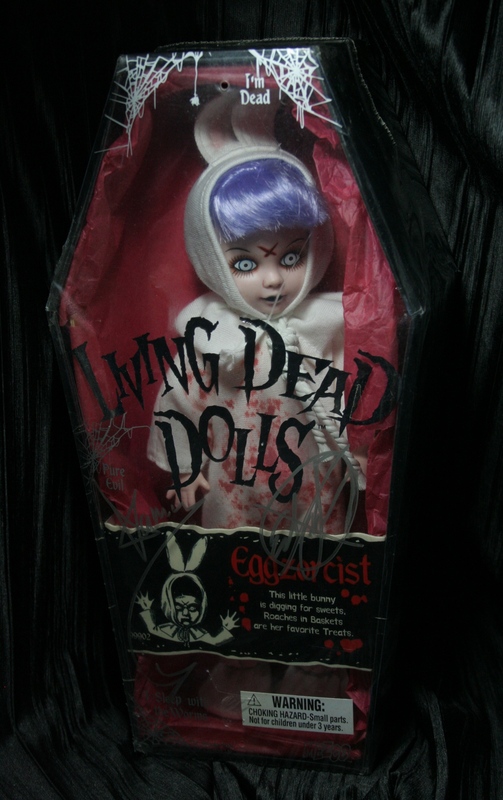 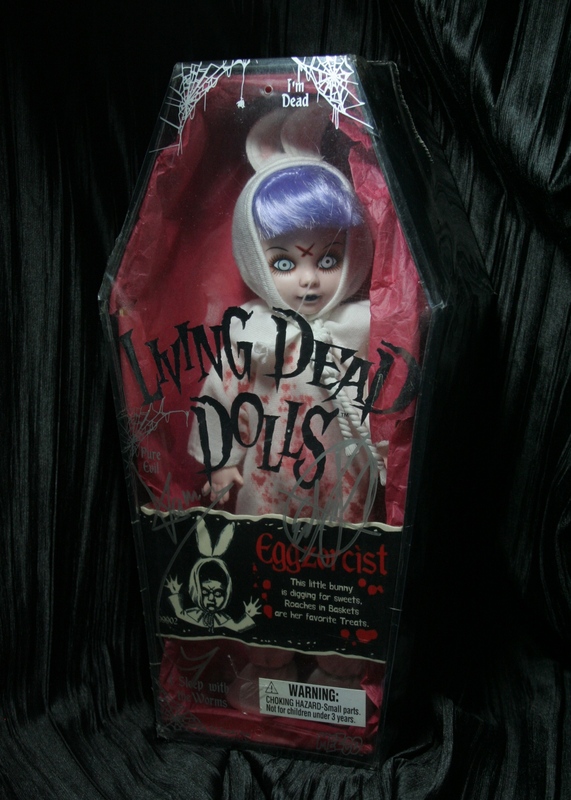 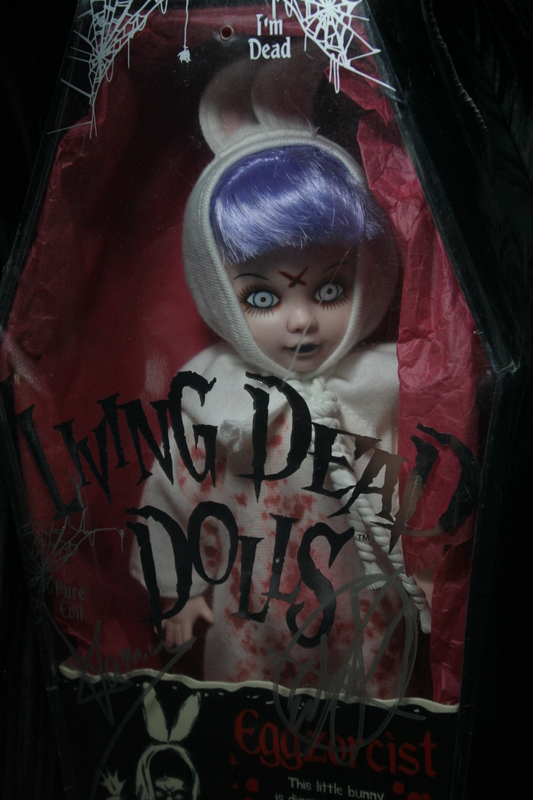 Chiller Eggzorcist was the first official exclusive Living Dead Doll and was extremely limited. 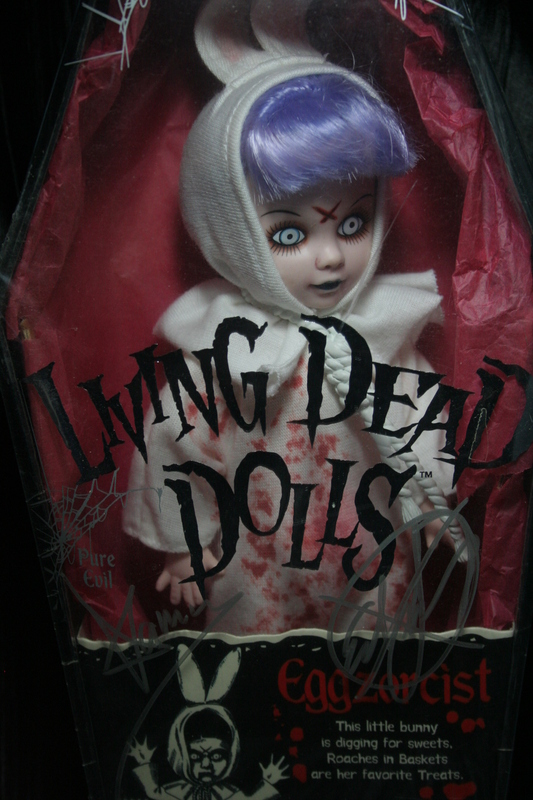 Please message us if you’re interested in acquiring her for your collection.